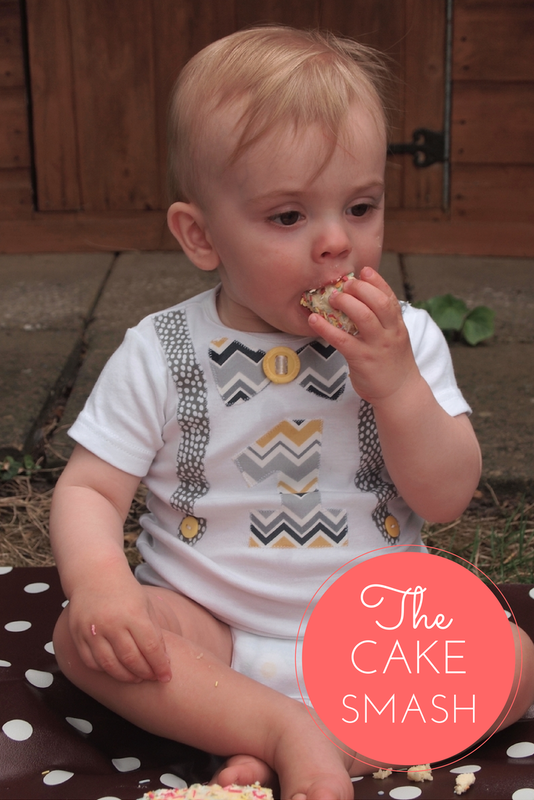 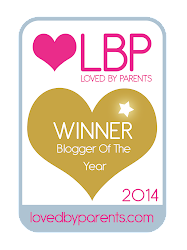 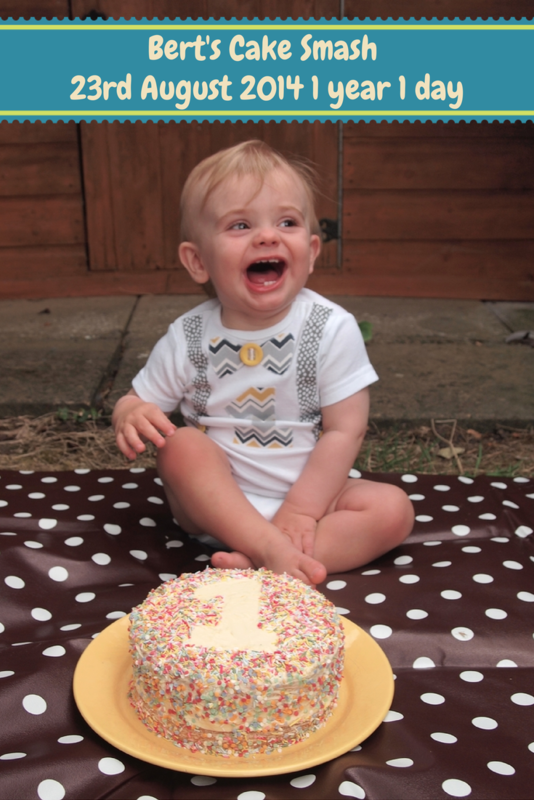 Mrs Bishop's Bakes and Banter: HAPPY FIRST BIRTHDAY BERT BISHOP!! 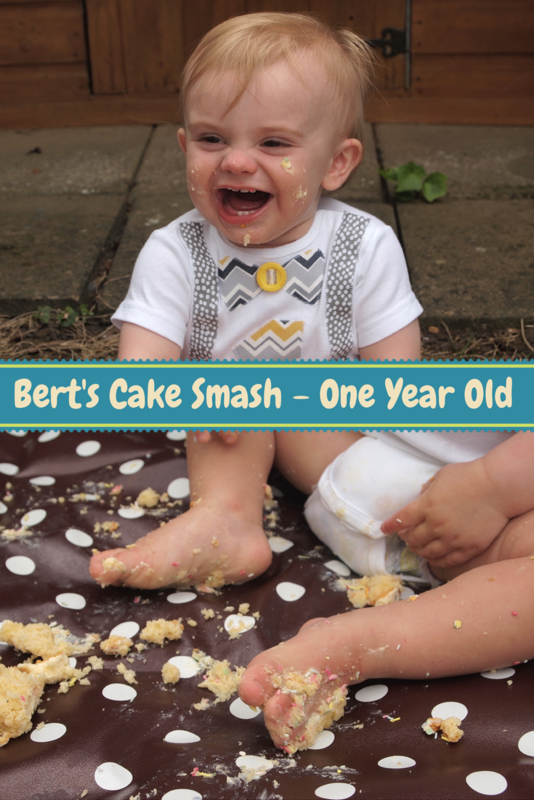 What an amazing couple of days we've had celebrating Bert's first birthday! 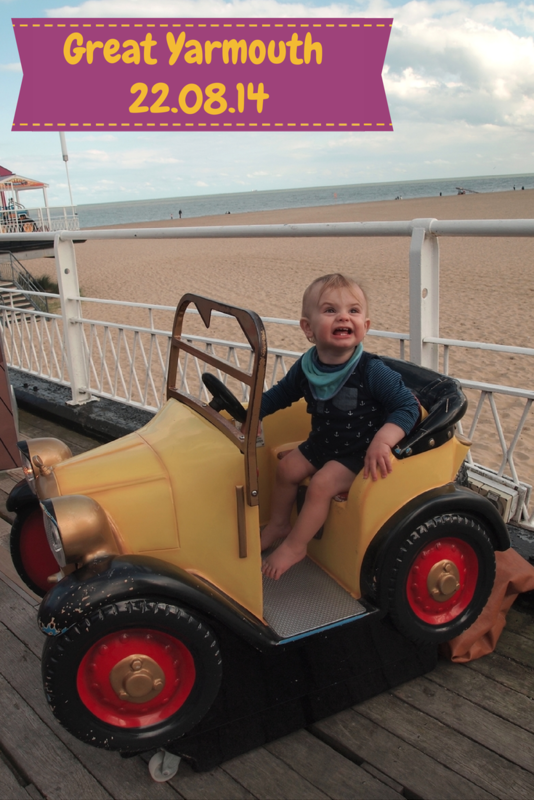 The fun isn't over yet: we have a huge family picnic planned for tomorrow, the finale to Bert's birthday weekend! 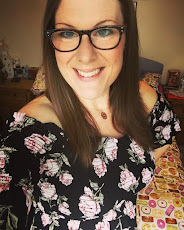 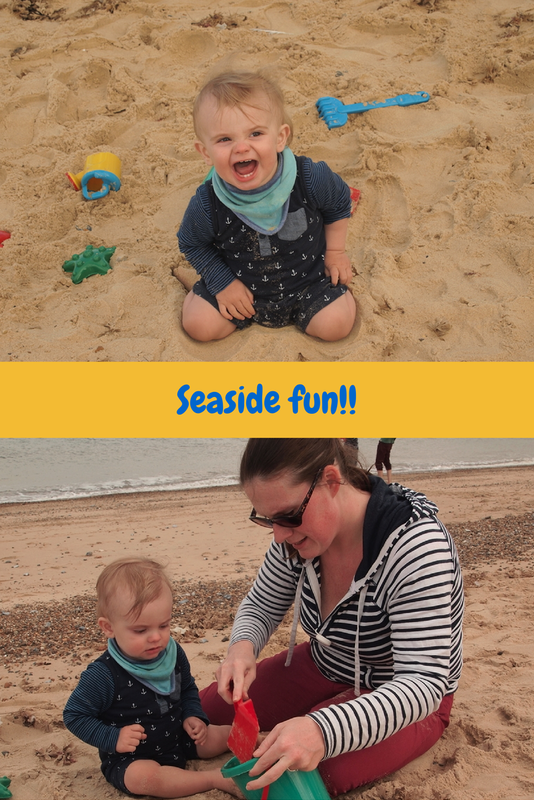 I thought I'd share a few fab photos from the last few days with you. 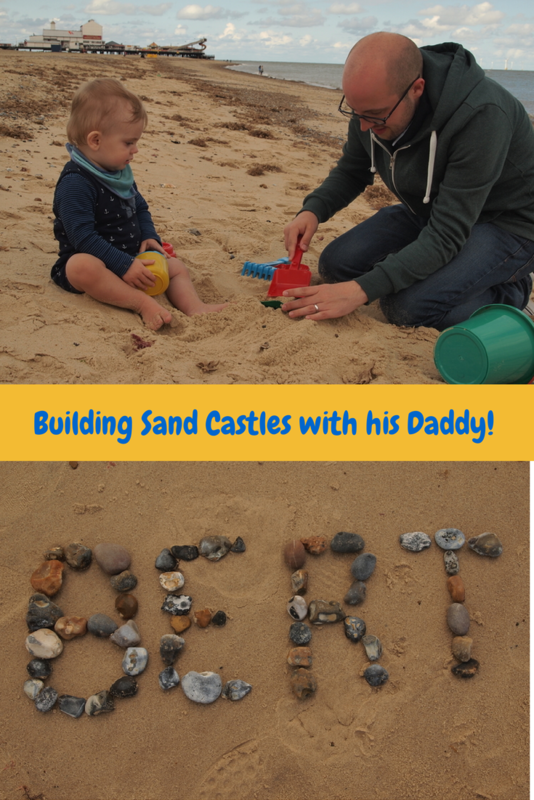 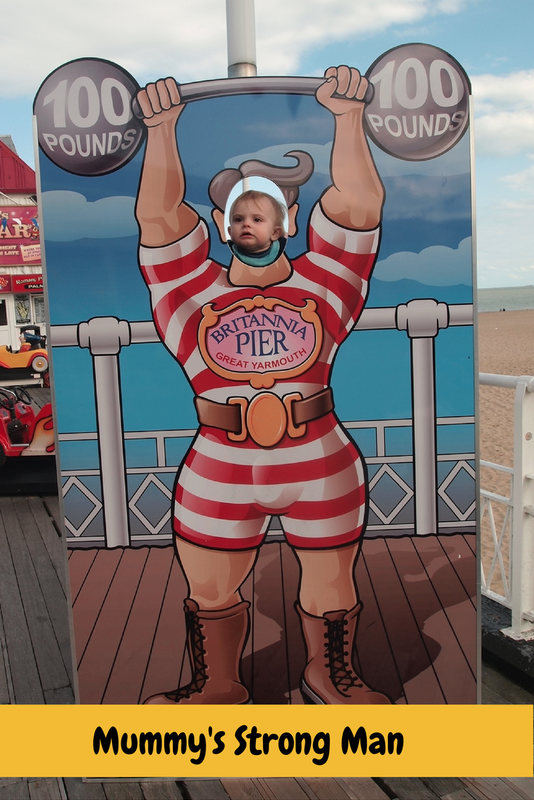 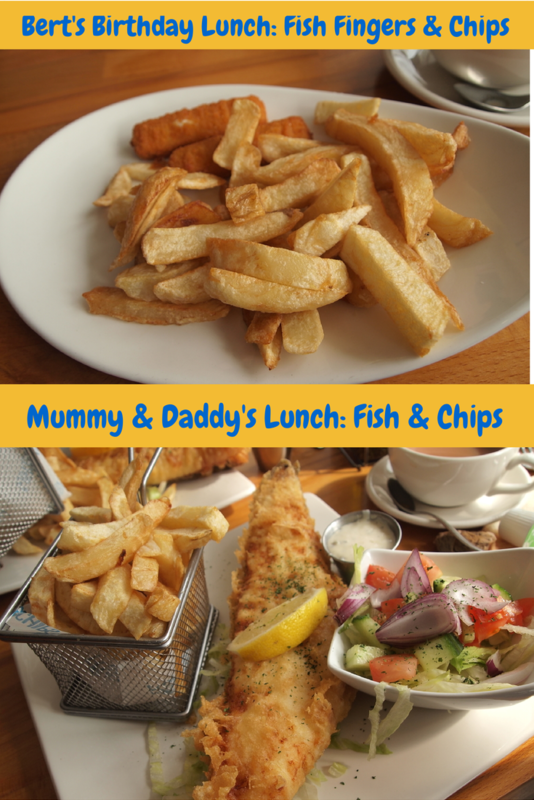 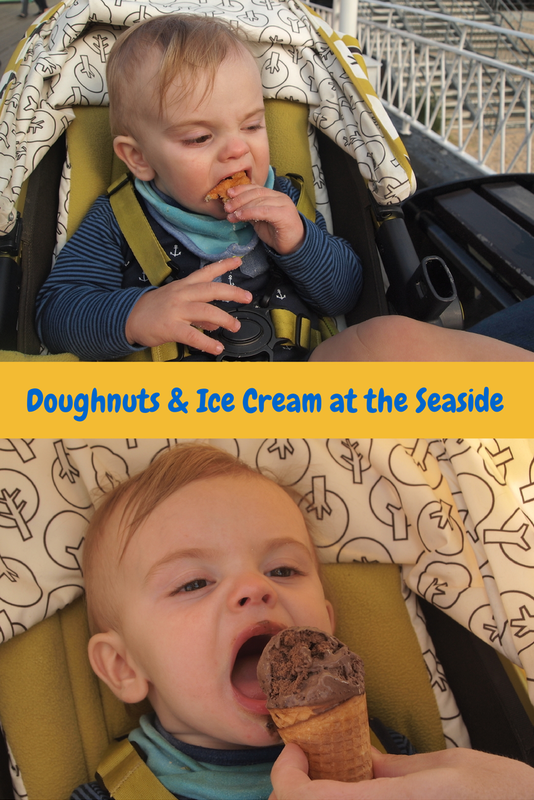 Yesterday (Bert's actual birthday) Liam and I took him to the seaside for the very first time (Great Yarmouth) - it was such a magical day - full of building sandcastles, eating fish & chips, a walk on the pier and rides/doughnuts/ice cream….all the standard seaside 'must do's'. 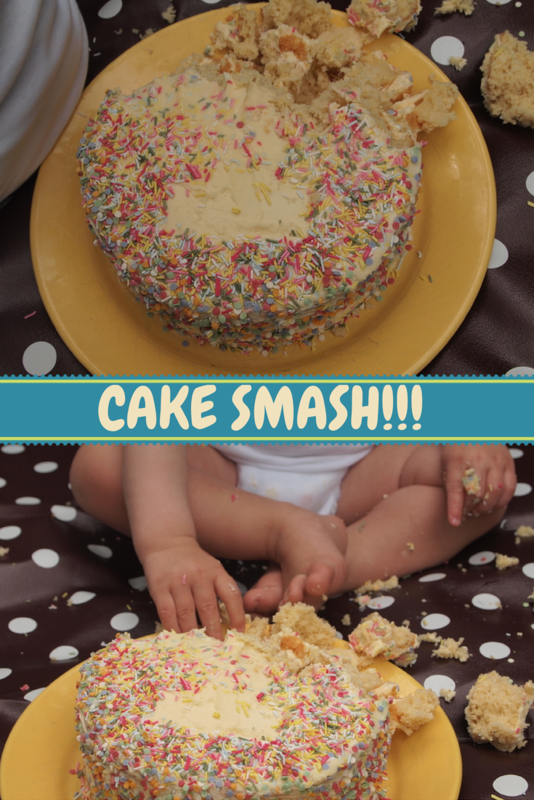 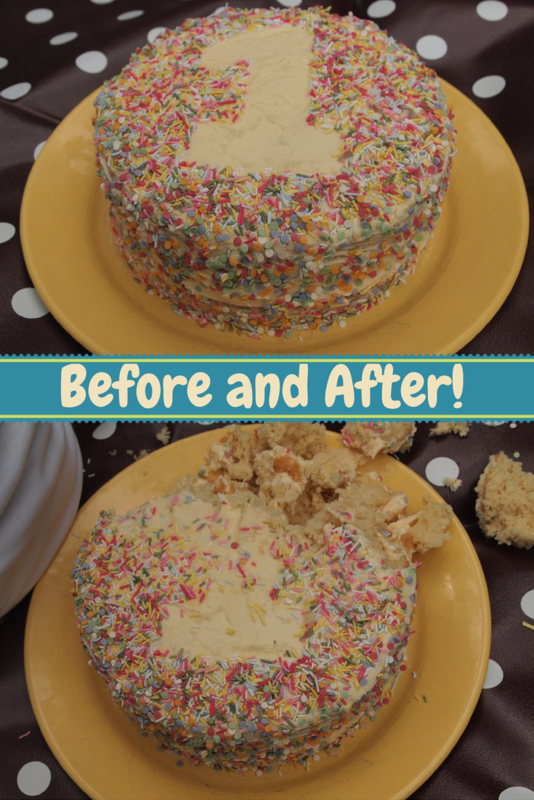 Today, Bert took part in his very first cake smash! 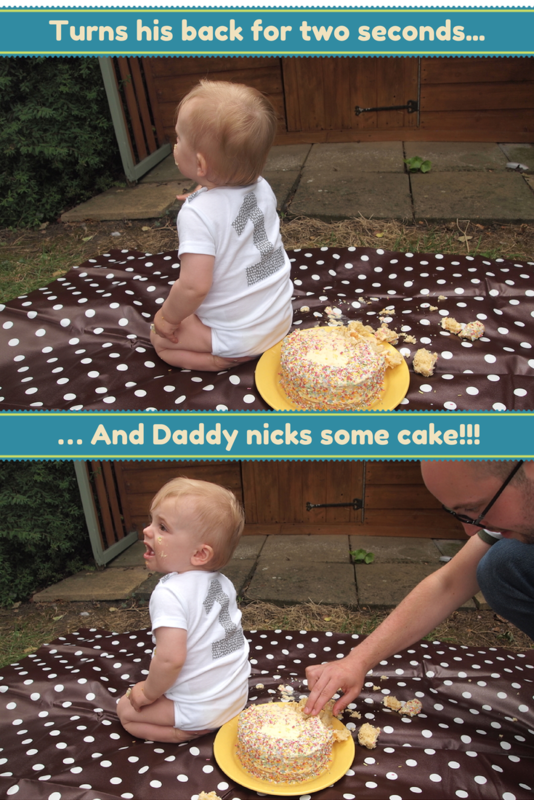 It was so funny to watch him attacking his birthday cake…such fun! 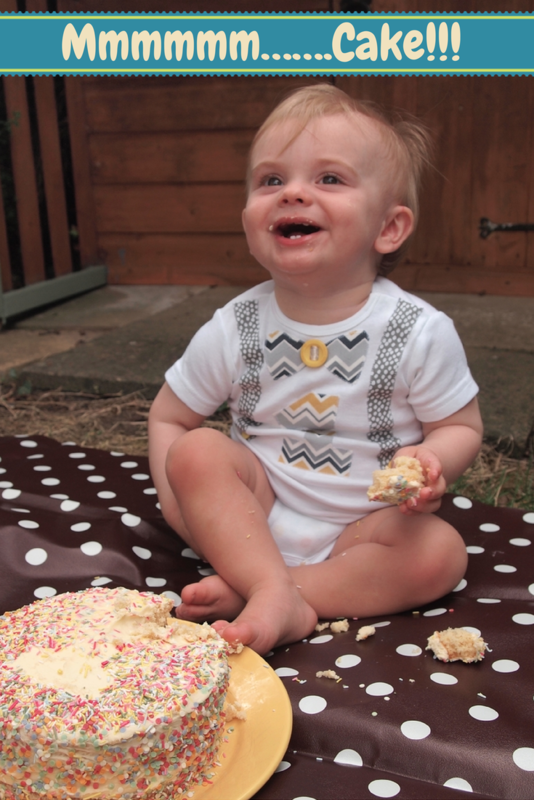 HAPPY BIRTHDAY to my wonderful little man. 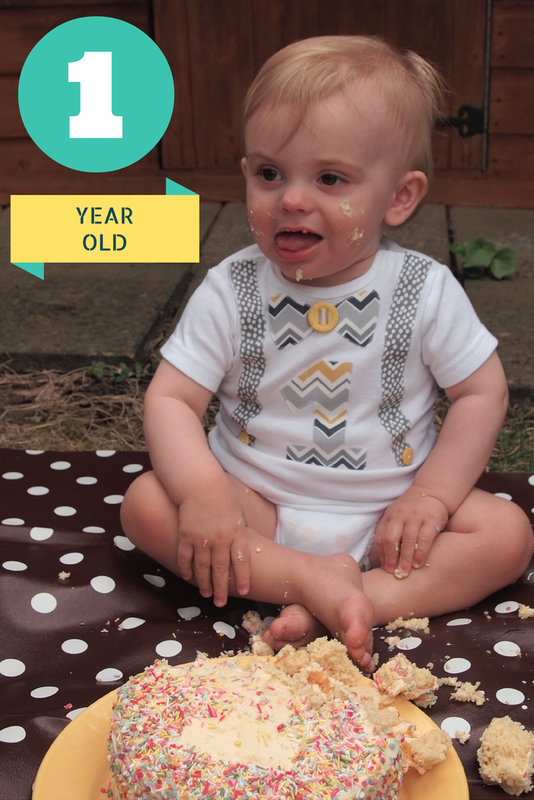 You bring so much joy to our lives and make us proud every single day!